When humans arrive in an area, a wave of extinction (typically) follows. For the past 50,000 years, we’ve been mucking up the local environment as we spread out of Africa and around the world1. One of our most recent victims is New Zealand, which was only settled by Māori ~1300 AD. The island they found was vibrant and full of life, including the famous moa bird. 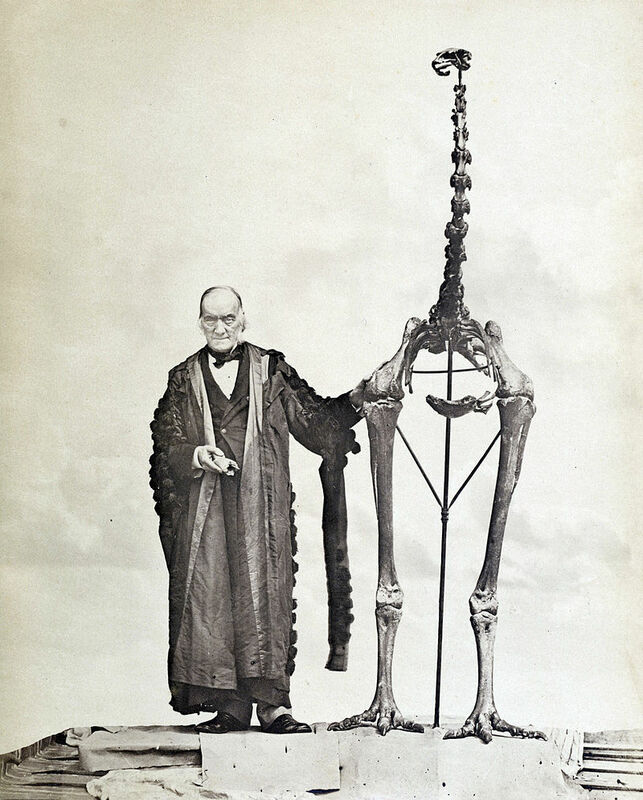 But within a few hundred years, the Māori had driven many species – including the massive moa – extinct2. And yet, this impressive beast still lives on in their culture. So Wehi et al2. from New Zealand have been studying whakataukī to see how the disappearance of moa impacted later Māori culture, and what that implies about stone age societies who lived through similar circumstances tens of thousands of years earlier. More than 3,000 whakataukī have been documented, with efforts starting shortly after the arrival of Europeans in the 1800s. These formed the foundation of the work by Wehi et al., who poured over them for references to animals. This amounted to just over 600 whakataukī, of which a few dozen mentioned moa. Although whakataukī are often compared to proverbs (just like I did in the introduction) they’re a bit more special than that. They’re tied into a wider oral tradition, communicating everything from philosophy to history to how best to hunt prey. As such, the whakataukī preserve a bit of historical context, either in associated stories, grammar, or style. Wehi et al. were able to use these cues to group them into broad time periods, which they handily contextualise to key periods of Western literature. These are <1350 (Beowulf ), 1350-1500 (Chaucer), 1500-1650 (Shakespeare ), 1650-1800 (Jonathan Swift) and post-1800 (Dickens). Moa went extinct around the time of Chaucer, yet whakataukī don’t die out with them. Moa continue to be referenced for the entire period studied, although Wehi et al. did find a shift in how they were discussed. Whilst whakataukī from when moa was alive focused on their behaviour and how to hunt them, extinction became a big focus after, well, their extinction. Perhaps the most interesting discovery made by Wehi et al. is just how much moa dominate relevant whakataukī. 10% of all bird-related sayings featured moa, whereas almost every other extinct bird is completely missing from them. Only the massive Haast’s Eagle gets the occasional nod2. 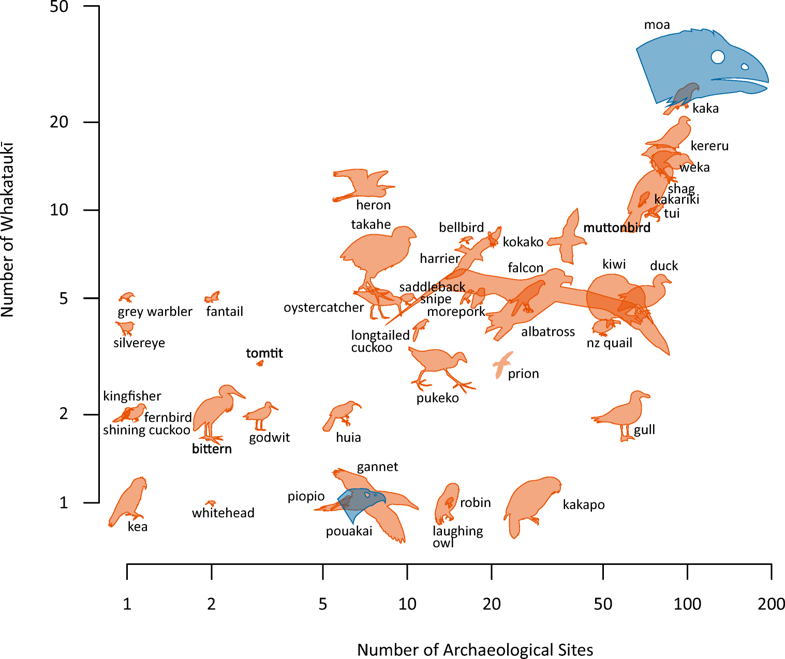 Frequency of references in whakataukī versus frequency birds are found at archaeological sites. Birds in blue went extinct. Note how there are few extinct birds here2. This moa focus gets even more interesting when the researchers looked at the ages of their whakataukī. More than half date to after the big bird’s extinction. Clearly, the loss of the moa was a big deal for the Māori that reverberated in their culture2. It’s small wonder why. The moa appears to have been a key prey species for early Māori, being found at more than half of archaeological sites from that period3. With such intense hunting, I’m surprised the moa lasted as long as they did! However, Wehi et al. have another hypothesis for this moa obsession as they note a change in whakataukī after their disappearance. Whilst the big bird was alive, the sayings focused on descriptions of moa behaviour or tips on how to catch them. After their extinction, the topic of their disappearance became more prevalent. This focus on moa extinction peaked in the 1800s, which is also the time European settlers arrived on the island. 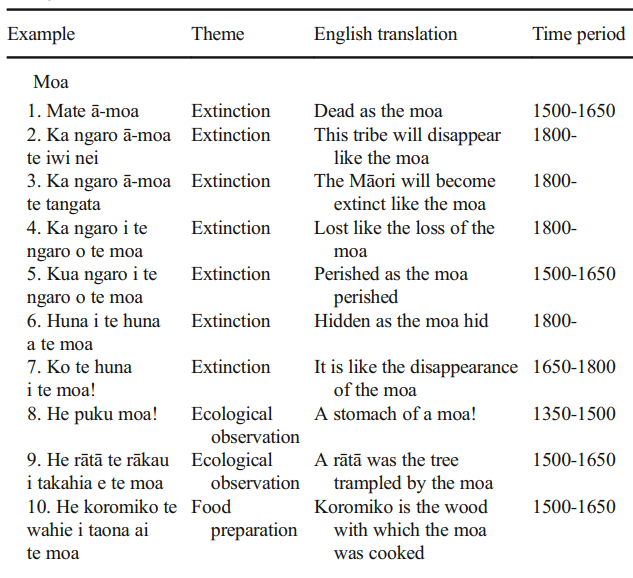 During this period, many whakataukī compared Māori and moa. “Ka ngaro ā-moa te tangata” – “The Māori will become extinct like the moa”. Wehi et al. speculate that this might be the reason for the moa focus. The Māori saw parallels between themselves and this great bird, driven extinct by an outside force. This kept it alive in their culture. Given that so many factors influence the cultural legacy of an extinct species mean it’s essentially impossible to generalise from the Māori to other societies. Using this study to make inferences about how stone age societies dealt with the disappearance of the mammoth would just be wild speculation. But it’s speculation that reminds us these ancient communities were made up of real people, with real thoughts and concerns about the world. 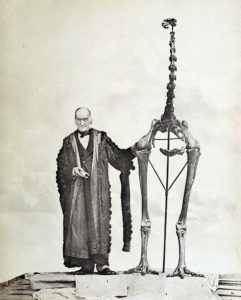 One possible reason for the Māori focus on the moa is because they were important to their diet. We see a similar trend in the European Palaeolithic. There, animals appear in cave art in similar proportions that they were hunted4. Which kind of makes sense. However, the stone age artists did show greater interest in larger species, painting animals like mammoths more frequently than they were able to hunt them4. Which again, also makes sense. Although rarer, hunting these animals would be a big deal; able to sustain the tribe for a while if killed. Despite these similarities, there is also one fairly major difference between these stone age artists and the Māori. It should be obvious by the fact that in Europe we can compare hunting rate and art. Clearly, the European animals weren’t extinct! 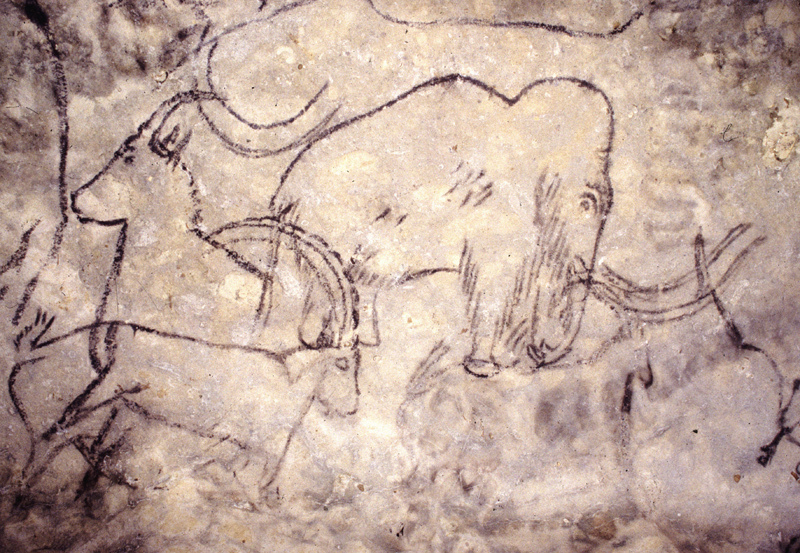 Mammoths, for instance, didn’t disappear from the continent for thousands of years after these paintings were made5. But maybe the fact that they were important to them beforehand, like the moa to the Māori, meant they would have stayed an important part of their culture afterwards. Also, like the moa and Māori. So, there may be some similarities between these groups, with their culture biased towards their favourite foodstuffs. Which makes me a bit sad we don’t have any great art depicting a good pork pie. Araujo, B.B., Oliveira-Santos, L.G.R., Lima-Ribeiro, M.S., Diniz-Filho, J.A.F. and Fernandez, F.A., 2015. Bigger kill than chill: The uneven roles of humans and climate on late Quaternary megafaunal extinctions. Quaternary International. Wehi, P.M., Cox, M.P., Roa, T. and Whaanga, H., 2018. Human Perceptions of Megafaunal Extinction Events Revealed by Linguistic Analysis of Indigenous Oral Traditions. Human Ecology, pp.1-10. Worthy, T.H., 1999. What was on the menu? Avian extinction in New Zealand. New Zealand Journal of Archaeology, 19(1997), pp.125-60. Rice, P.C. and Paterson, A.L., 1986. Validating the Cave Art‐Archeofaunal Relationship in Cantabrian Spain. American Anthropologist, 88(3), pp.658-667. Nogués-Bravo, D., Rodríguez, J., Hortal, J., Batra, P. and Araújo, M.B., 2008. Climate change, humans, and the extinction of the woolly mammoth. PLoS biology, 6(4), p.e79. Previous post: Did going hairless help our brain evolve? How do you date the sayings? The paper goes into a bit more detail on the subject, describing how they “used linguistic and structural cues, vocabulary identifications, historical contexts and embedded references to ancestor names, events, and genealogies to make these temporal assignments”.